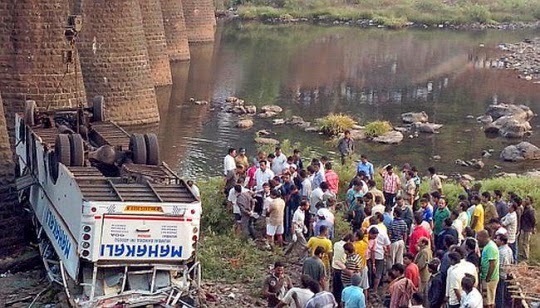 THANE: The Motor Accident Claim Tribunal (MACT) Thane has granted a compensation of Rs 8.25 lakh to a woman in a 2010 case of accidental death of her son. Judge of Session court S Y Kulkarni and MACT member in their judgement delivered recently directed the owner of the bus Javed Khan I Siddiqui and the insurance company Universal Sompo General Insurance Co. Ltd to jointly pay compensation amount to the claimant Sunita G Sonawane (40) of Aktoli village in Bhiwandi taluka of Thane. In her claim, Sunita told the court that her son was working as a mason with a Bhiwandi-based contractor and lost his life in a road accident. She further said in her submission to the court that her son was travelling to Mumbai in a luxury bus which met with an accident and he died. The woman claimed that the accident occurred due to rash driving and was a negligence on the part of the driver and made a claim of Rs 5 lakh. A case was registered by the Kankavli Police Station against the driver of the bus. The judge in his order stated that, based on the deceased's monthly income, the total loss of dependency to the applicant was worked out to the extent of Rs 8.10 lakh, while an additional of Rs 15,000 was granted towards other expenses.